Maybe it’s the lavishness of Camps Bay villas, or perhaps it’s the oh-so-trendy cafe culture. Then again, it could be the life-changing sunsets. Or the central location. It may even be the beautiful scenery, beaches and people. Whatever is is that makes us fall in love with Camps Bay, we do know one thing for sure… the rest of the world is as mad about this Atlantic Seaboard suburb as we are. Camps Bay Beach lies on Victoria Road, and serves as the area’s primary beach. But a stone’s throw away are beaches that are even more spectacular, if that is possible. 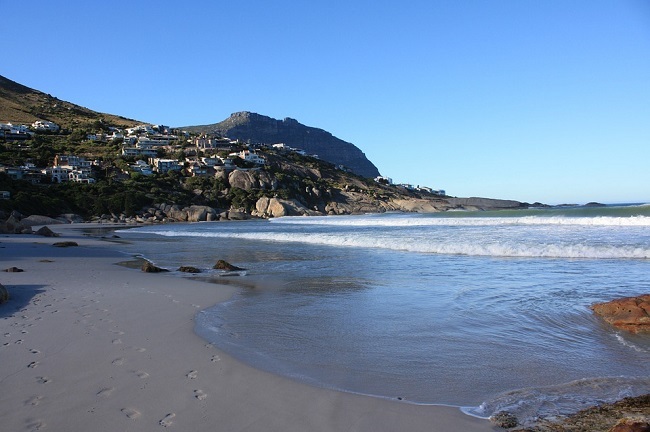 Clifton alone boasts not one but four separate beaches – Clifton 1st, 2nd, 3rd and 4th respectively. Then there are the small beaches of Bakoven, Maiden’s Cove and Glen Beach that are sheltered from the wind and crowds. Whether you prefer to laze in the sun, take a dip in the chilly but refreshing Atlantic Ocean or simply relax with a beach picnic and perhaps a book, you are sure to find just the right beach. Whatever your accommodation needs may be, you are almost certain to find the perfect choice of Camps Bay villas. Some of our villas that are always in high demand include Atlantic Six with its stylish facilities and 15 Ottawa, which is spacious and stylishly furnished. 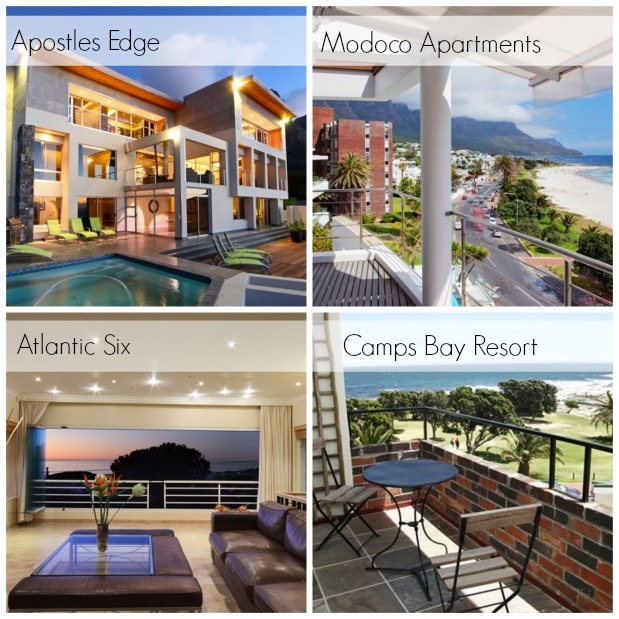 For those who prefer something more compact for lock up and go convenience, there are also stunning apartments that include hot picks such as Modoco, Camps Bay Resort and La Fleur. Honeymoons, business trips, family holidays, weekend getaways, team building retreats and just about any other travel experience are all made even more rewarding with the help of an amazing place to stay. Less than 20 minutes from the City Centre and its wide range of landmarks, staying at a Camps Bay villa puts you in easy reach of other nearby hotspots, including the world-renowned V&A Waterfront. 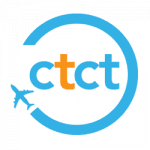 Those wanting to venture up Table Mountain can head to the Cable Station in a matter of minutes, while other notable attractions such as the South African National Museum, Greenmarket Square, Bo Kaap, Signal Hill and Lion’s Head are also close by. With private chauffeur services that can be organised on your stay at a luxury villa, you can get around in style. Or you can opt for a self-drive option with the help of our car hire services. Private cabs such as Uber are also in easy reach, ensuring that you can easily get where you need to go, whether it’s day or night. Victoria Road is always abuzz with activity. Along the road, there are plenty of cute little cafes and coffee shops, with outdoor seating that faces the beach. There are also ice cream shops and takeaway cafes for grabbing a bite to eat after a long, hard day at the beach. Locals and tourists like to enjoy coffee here during the day, while some (lucky) freelancers have been known to take their laptops to one of the cafes to work. Vespas, bicycles and pedestrians are par for the course, along with many flashy cars that are owned by celebs staying at nearby Camps Bay villas, the beautiful rich folk who own houses here and various other up and coming trend-setters who cruise through en route to the city. Much has been said about Camps Bay’s sunsets, of which there are too many to count. Each and every evening, the sun goes down over the azure waters of the ocean to dramatic effect. Locals like to enjoy these sunsets on the beach or at the nearest cafe or bar. Visitors staying at one of the luxurious villas that face the ocean have the benefit of a balcony or sundeck that offers the best viewings by far. Sip a cold cocktail or a glass of Cape wine, and watch the magic unfold in real time. 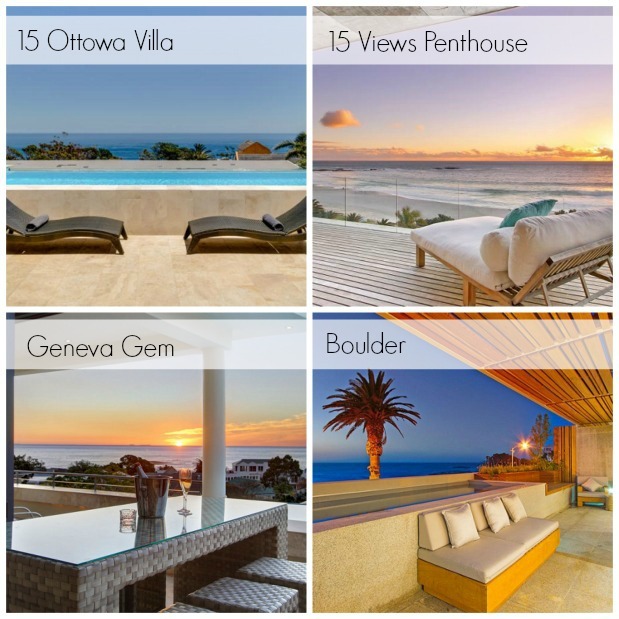 Top picks for villas and apartments that offer the best sunset viewing include Boulder, Geneva Gem and 15 Views Penthouse. Camps Bay is known for its wealthy, luxurious way of life, and that means that every stay here is as opulent as you could ever imagine. Even if you have saved up to enjoy your trip rather than using up mere pocket money in a Kardashian-worthy budget, the lifestyle is enough to make you feel like a million Randela from the moment you arrive. Sumptuous bedrooms, lavish bathrooms, large living areas complete with entertainment systems and deep leather couches, fully equipped kitchens and dining rooms with views that are to die for are just the start. Take a stroll down Victoria Road and join the beautiful people as they come to soak up the sun and enjoy some after-dark cocktails, and you are sure to wish you never had to leave this slice of paradise. Once the sun goes down over the ocean, Camps Bay transforms into an uber stylish destination that attracts a diversity of admirers in search of a good cocktail. The always-popular Cafe Caprice is where much of the after dark action goes down, with famous and less famous patron enjoying a large cocktail selection along with local beers, good burgers and a trendy vibe. But there are many other places that are just as worthy of a visit. Dizzy’s has pizza and karaoke nights, Blues has a legendary reputation and a decent menu, and you will find many other places to enjoy your cocktail of choice… whatever time of year you visit. The suburb is also home to many excellent spas and wellness centres. From iconic pampering destinations such as the Twelve Apostles Spa to many of the lesser-known but equally impressive spas favoured by locals (Langaro, Kimya and Spa Marine Wellness & Make-Over Center are just some suggestions), getting your pamper on has never been easier. But you don’t have to venture out to receive the most divine treatments under the sun either – many of our top villas have the option of add-on services such as spa therapists. 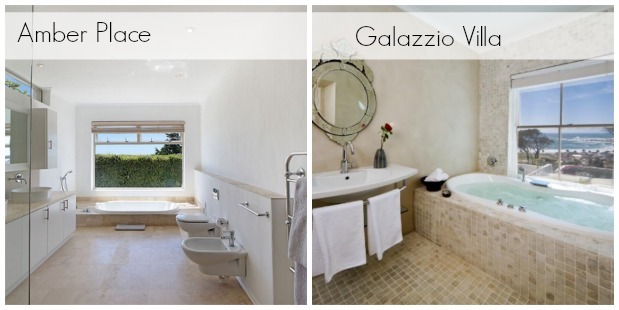 And, with bathrooms suited to royalty, every bath-time can feel like a world-class spa when staying at a villa such as Amber Place or Galazzio. 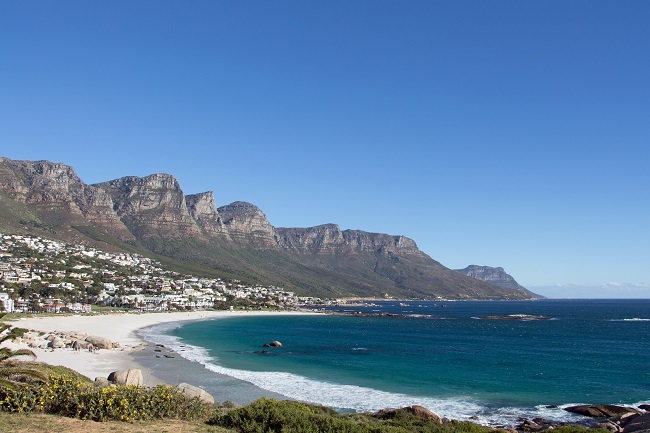 This part of the city is known for its properties and villas that sit on the foothills of the scenic Twelve Apostles range, which forms part of Table Mountain. Many paragliders make their descent from this peak, and can be seen gently floating down towards the beaches. Wild flowers and natural vegetation provides even more scenic beauty to an already magnificent area, while also adding plenty to the photographic appeal of this picturesque suburb. A number of villas are positioned in a way to offer the best of both views – sea and mountain – ensuring that you wake up to spectacular scenery every morning of your stay. Of course, perhaps what truly seals the deal is the thing that makes Camps Bay villas get snapped up at a rapid rate every year. This suburb is the gem in the shining crown that is Cape Town: South Africa’s beloved Mother City. Winner of numerous travel awards, a favourite haunt for visiting movie stars, a holiday home for the rich and famous and home to a world of races, nationalities, ages, cultures and personalities, Cape Town has proved that it has everything required to be the perfect getaway destination. And in its alluring coastal hotspots such as Camps Bay, the Mother City magic is even more apparent to all who visit. 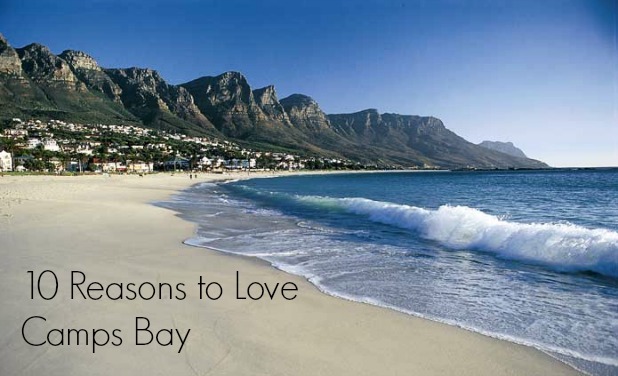 Keen to fall in love with Camps Bay as much as we have? You can find the very best Camps Bay villas, apartments, self-catering holiday rentals and other first-rate accommodation to start your love affair right this moment. Browse our selection of properties in Camps Bay and make your booking online using our simple, secure reservation system. With so much to love about this area, you are sure to find your dream villa in no time.